Amazing Price reductions continue of the Costa Tropical. This 2 bedroom totally refurbished seaside cottage now stands at the amazing price of 38,950 Euros. 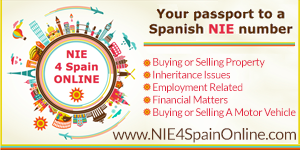 2014 new NIE statistics show that 74% of new Spanish NIE Number applications are to buy a property in Spain, 21% work, 1% Student, & 4% social.